The UBC community has mixed thoughts on its new bike-share service. 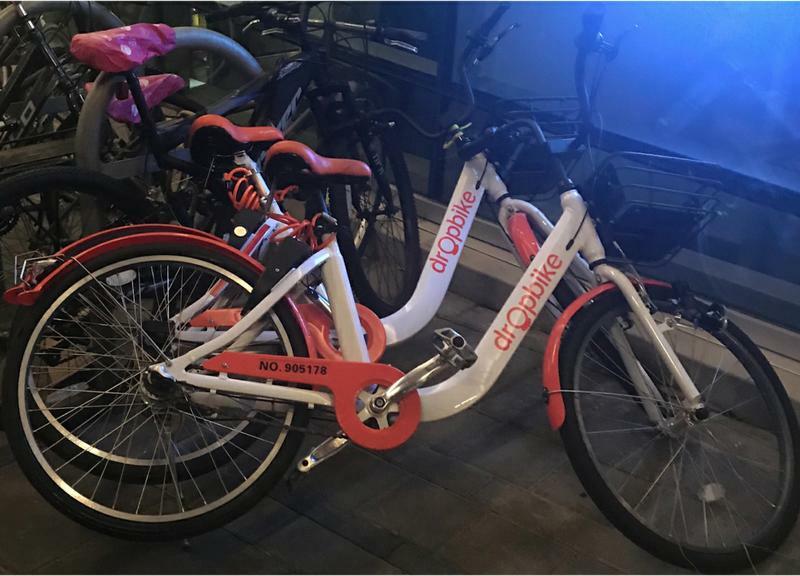 Since Dropbike arrived on campus in September, students and other users have reported a range of problems with the service ranging from improperly parked bikes to bikes emitting a “chirping” noise. The service’s “dockless” model has made it possible for users to park their bikes anywhere — from stairs outside residences to the entrance of Life Building. People are finding these wrongly parked bikes annoying yet amusing. “I’m not sure why people would not be courteous enough to park it a few centimetres away from these stairs," said Shruti Chakravarty, a visitor who was coming down the stairs outside Orchard Commons. She and other community members say the bikes aren’t just a nuisance — sometimes, they’re not even operational. “I tried using [a Dropbike] once, but I couldn’t open the lock and [the] trip ended automatically,” she remarked. UBC isn’t the first community to have problems with dockless bike-sharing services. Other cities, especially those in the United States, have encountered problems with dockless services, from stolen bikes to ones deposited in trees. Students are also complaining about bikes emitting a loud “chirping” sound. “Once I was coming out of [the] Life [Building] and there were like 20 bikes parked by the side. I could hear an irritating sound, and like literally everybody was staring on the right side as they [were coming] down the stairs," said Kyrev Osman, a third-year arts student. While the sound seems harmless, students in residence say it’s a nuisance in the evenings. “They beep outside my window (near campus) for hours at a time,” complained one Reddit user. “The concept is good, but I’m not very happy with people who park it wrongly and ... [things that] interfere with everyday life such as beeping sound," said Ruben Wang, a Dropbike user. According to a press release issued by Dropbike, the “chirping” sound is linked to a minor bug in the software used in their bike locks. “We’ve made resolving this issue our chief priority on campus by removing some of the bikes with lock issues and by updating the software across the remaining fleet,” the press release reads. The problem is expected to be completely resolved by mid-February, according to the statement. But it’s not just students who are concerned. The University Neighbourhood Association (UNA) has taken up the issue with the company, too. According to their latest newsletter, Dropbike has assured them that the issue will be fixed in phases through software updates — if not, the UNA will take matters into their own hands. 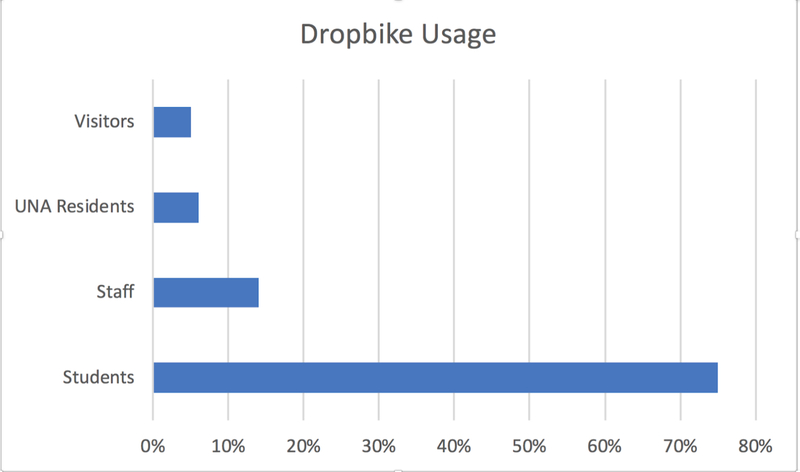 “We will prioritize problematic bikes closest to residences, followed by bikes in commercial zones, if the solution from Dropbike does not resolve the issue,” the newsletter reads. It’s been a bumpy ride for the service on campus. In September 2018, a UBC engineering alumnus exposed Dropbike’s data vulnerability. The vulnerability was fixed in 36 minutes after they were notified about the issue, though the service had been active on campus for about two months by that point. “... A new system in a new industry doesn’t come without its challenges. Each of those challenges will continue to be addressed with transparency, in a timely fashion and a responsible manner,” said Gurtej Arora, operations manager at Dropbike. So far, the university is optimistic about the potential of the hub-based “dockless” model of bike sharing and that problems in the pilot phase are just a bump in the road. “So far, the Dropbike pilot has demonstrated strong demand for an on-campus bike share program, with over 200 trips a day taken during the warmer months of September and October,” said Adam Hyslop, Transportation Planner at Campus and Community Planning. “Despite the minor hiccups with the Dropbike service, we’ve had excellent feedback from the community and think it’s a valuable addition to campus."